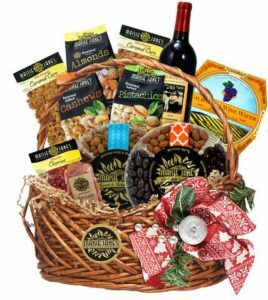 Order Gift Baskets Online for Store Pick-up Now! Did you know that if you live in or near Chico, CA that you can order items you want from us online and pick them up in our country store? Choose the perfect gift to add to the table for holiday gatherings or to bring a little cheer to people going through a hard time in our online store. Then choose “Store Pickup” when you place your order and you’ll save time and pay no shipping costs! It’s so easy! All you have to do is pick out the items you want and add them to your cart! When it’s time to checkout you just click the option that says Store Pickup and tell us the day and time you want to pick your order up. Then come on by the Maisie Jane’s Gift Shop at 1324 Dayton Rd. in Chico, CA. Your order will be waiting for you when you come to the counter. This is also the best way to insure that the gift baskets you want will be in stock if you typically shop in person. Sure, you could wait for us to make the special gift basket you want on the spot. (Most of our gift baskets are lovingly made right at the Maisie Jane’s store.) But even though we restock our shelves all day, you might happen to arrive at a time when we just ran out of your favorite one. But you don’t have to wait! Order what you want now and rest assured that it will be there when you arrive. Order online by Tuesday November, 20th in order to pick up on Wednesday, right in time for Thanksgiving!